As I look back upon 2015 there is one word that captures my emotions for the year…blessed. This year was a great year in so many different ways. As I reflect on this past year, I am once again overwhelmed by how fortunate, and blessed, I am to have so many wonderful people in my life. I am grateful for the opportunities I had in 2015 to coach and develop some great leaders. I am so excited to have the pleasure and honor to be a part of their personal and professional growth…you know who you are. Throughout the year I was also blessed to have been the recipient of some great coaching from a handful of mentors, many of whom are past bosses…you too know who you are. My leadership, strategy, decision making, and critical thinking skills continue to evolve and develop in large part due to your coaching. Thank you. In 2015 I had the privilege of leading yet another complete rebranding effort, dusting off a tired brand and creating a brand with life, energy, and excitement. I led a team through the deep and exciting work of the Buyers Journey that enabled us to adjust our go-to-market strategy in order to better align with the way our buyers make their decisions. I directed the launch of an Inside Sales team that proved our hypothesis that channel sales – specifically through influncers – can be as successful with an inside sales team as a field sales organization…and done at a lower cost of sale. I worked with some pretty terrific partners to create some great content for customers and prospects alike, that fueled a demand creation strategy anchored by some great marketing automation tools. It was a highly productive year. On a personal note, I published my 135th blog and reached 4,000 visitors to this site in the two years since its launch. I am thankful for all those who follow me, read what I write, share it, comment, and like it. Your interest inspires me to continue with this life-long passion of mine. I’m setting my sights on reaching 10,000 visitors so keep your comments coming as to the types of content you like reading about and sharing. Thank you so much for your support. Last but not least I want to thank my wife Terri whose support and counsel has been a constant for 26 years. I couldn’t imagine being on this journey without her. And to my two kids who continue to show me the power of having goals and dreams, you not only keep me young but inspire me to keep growing. You’re simply the best. As we enter this new year I wish you all a healthy, happy, and prosperous 2016! 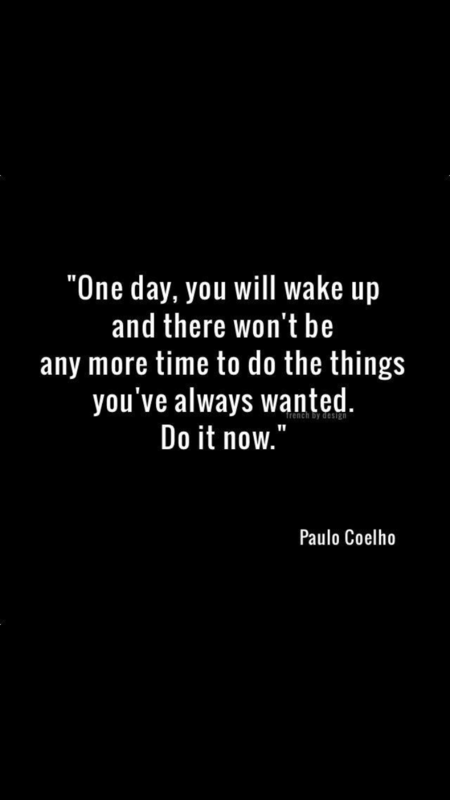 Don’t put off until tomorrow what you could do today. In Seth Godin’s book Linchpin, he says, “late is the first step to not finishing.” Many suffer from analysis paralysis. Trying hard to solve for perfection. Trying hard to not make a mistake. Leaders however think about decision making differently. They have the courage to act and the confidence to own their decision no matter the outcome. I might, turns into I can. Leaders say I will, instead of I could. I may, becomes I must. I should, changes to I am. Leaders think in the here and now. They understand the importance of being decisive and accountable. They look to the future with a clear understanding of their current circumstances. Leaders are well-rounded. They are continuous learners, who through learning, are constantly challenging their own perspectives, ideas and opinions. Leaders are not afraid to change tact given new information. They are more concerned about getting it right than being right. In his book Who Says Elephants Can’t Dance, Lou Gerstner conveys a philosophy of “sooner is better than perfect.” Doing things sooner often times requires getting comfortable with uncertainty. The point being, once you have taken action you can always do a course correction. Leaders are constantly acting. They are in perpetual motion. They’re never sedentary or static. They’re fluid, dynamic, evolving. Leaders know that every journey begins with the first step. Sometimes the step is in the wrong direction. That’s okay. They’re comfortable with change. They’re confident in the midst of ambiguity. They thrive on the thrill of what they can learn. They’re curious. They’re bold. Be curious. If being curious is too bold of a starting point then be cautiously curious. Strive to become comfortable with being uncomfortable. But act. Taking action provides the leader with learnings. Those learnings add to the leaders inventory of skills, experience and perspectives. With those ingredients the leader is able to garner the followers they need to successfully execute on their vision. Keep moving. Keep making things happen. How Happy Are Your Employees? Find Out in 3 Easy Steps. Turnover. Theft. Sick time. These are just a few ways poor morale manifests itself in the workplace. Data shows that most employees leave a boss not a job. Data also shows that stealing office supplies is actually less costly to the company that stolen time. Water cooler talk, extra long lunches, and lengthy hallway conversations are examples of stolen company time. There’s a difference between hallway conversations that foster collaboration versus those that fuel the rumor mill. But how do you, or can you – the boss – tell the difference? Some companies spend thousands of dollars to survey and test for employee morale. From an informal Survey Monkey to much more formal nationally recognized surveys, companies try to measure the engagement level of their employees on an ongoing basis. What’s important to note is that these are only tools. Best case they are a snapshot in time. Worst case they are the result of highly skeptical employees providing the responses they think “big brother” is expecting. Truth be told – and a truth many companies don’t want to acknowledge – is that most employees are highly suspicious of these “confidential surveys”. I’ve worked in more than half a dozen firms where these survey’s were used and employee sentiment is generally the same everywhere. This means that the results produced by these surveys are potentially flawed. It also suggests to employees that it’s easier for management to send a survey rather than engaging them directly. Skip Level Meetings. These are meetings where the boss meets with employees one ot two levels down in the reporting structure. These meetings are meant to be informal. The goal is to establish trust and to work to let the employee know how much the leader cares about them and their team’s morale. Town Hall Lunch & Learns. Keep groups small, no larger than 20 employees. The speaking executive or manager should present a short “State of the Union.” At the end of the presentation turn it over to the employees for questions. If there are no questions the executive should work to engage the audience by asking for their opinions and why they feel the way they do. Management by Walking Around. Abraham Lincoln was perhaps the first leader to practice this tactic. It provides the leader with direct insight into the day-to-day workings of a business. It also allows the leader to be seen as engaged and “in the fight” alongside their employees. Whether you decide to try one, or all three, the key is to be authentic. Employees know when you’re running through the motions. They can spot inauthentic leaders a mile a way. If you really don’t care, nor are willing to take action to address concerns you may hear, you’re better off not doing any of these things. Of course if that’s the case you already know just how unhappy your employees already are. Remember they’re only modeling what they see from their leaders. Care deeply, act deliberately. In a recent blog post titled Can You Tell if Your Culture Is Broken?, I shared some insights on how someone inside a company could recognize a breakdown in their company’s culture. That disconnect between what you say you are, versus what you really are; the old, perception-versus-reality dilemma. And yet for all the hype given to the importance of “culture” why is it there are so many mismatches between employees and employers? The reason is due to the lack of chemistry, not culture. You work with people not an organism. We’re all different. We have different backgrounds, different experiences, likes, dislikes, and preferences. Each of us have our own unique personalities. What excites and interests me, may be totally boring to you. Things that scare me might energize or thrill you. That’s what makes the world go around. Yet it’s so commonplace to find signs on company walls, or pages on company websites dedicated to touting its culture. Or better yet, how many of you have seen the big screen TVs in lobby areas that state the mission, vision and value statements of the company? Some companies go to extreme lengths to tell the world how wonderful they are. But saying so doesn’t make it so. People make up a culture. A culture is a living breathing thing, made up of individual personalities. It’s not static. It’s not permanent. It evolves. It’s people. In Doris Kearns book Team of Rivals, she talks about how Abraham Lincoln surrounded himself with a variety of individuals. Many, if not most, were opposed to Lincoln’s thinking on slavery, the war, and exactly how much power he had as President over the states. While I’m not a betting man, if I were to be, I would have bet against Lincoln’s experiment working. Then again, I would have completely underestimated his leadership abilities to bring people together and accomplish great things. The challenge of course was one of chemistry. How do you put together so many different personalities and get them to jell…to be effective working together? The answer is leadership. Whether you’re assessing the chemistry between you and your boss, your peers, or the team that supports you, pay close attention to your intuition. How do you feel when you’re connecting or interacting with them? Does it feel natural? Forced? Valuable? Do you feel like you can accomplish anything working with them, or do you feel as if nothing will work, nothing will be good enough? Is that little voice saying “you’re so lucky to be here”, or “keep a keen eye open”? No matter what the sign says in the lobby, or how many values your company posts on its website, it all comes down to chemistry. Can you jell? Chances are you won’t struggle to get along with Integrity, Innovation, and Accountability. Instead your challenge will be with Jack, Jill, and Jane Doe. Take the time to acknowledge your intuition. We were all given the hairs on the back of our necks for a reason. It’s not about optimism or pessimism. It’s about being pragmatic. Recognizing your reality and taking the appropriate action. Keep your focus on people. Forget about the sign on the wall. Yesterday I went into Yankee Candle to purchase some of their awesome selling Balsam and Cedar scented candles. I had a Buy Two, Get Two Free coupon. My goal, as always when shopping, is to know exactly what I want, get in, get out, and get home! I certainly hadn’t expected to get schooled in Sales while buying something as simple as a candle. But I did. Immediately upon walking in I was greeted by a very nice, “in-the-Christmas-spirit” sales associate. She noticed I was a “man on a mission”, and asked what she could do to direct me to what I was looking for. I told her I had a coupon for the buy 2, get 2 and I specifically wanted Balsam and Cedar candles. She directed me to “get a basket” and then led me to the display where she then said “you want to buy the large candles with that coupon.” I told her I was planning on getting the medium size jars. What she said next hit me like a brick. In all my sales career this was a first. Her response was so quick, and so filled with conviction it just completely disarmed me. She said, “Look…you went to college. The large jar is $27.99 and the medium is $24.99 but the burn-time difference is 60 hours. I know you can do the math.” WOW! This lady was spot on. She used my own intelligence against me! I did go to college and I could do the math. With that I said yes, and out I walked with 3 Balsam and Cedar candles and a Mountain Lodge (my favorite) for a bit of variety. On my drive home this experience got me thinking. This lady’s style and level or persuasion rivaled any C-Suite sales executive I’ve ever dealt with and she was working for Yankee Candle! While I might be wrong, I’m betting her sales skills were all her and not taught by Yankee. If I’m incorrect I’d love to know more about their sales training program. Smile. The entire interaction she was smiling and genuinely cheerful. Recognize and acknowledge body language – “man on a mission”. Provide subtle direction – “get a basket”. She’s in control. Respond accordingly – “follow me”, as she led me to the display. Know your product and your price points – “you want to buy the large”. 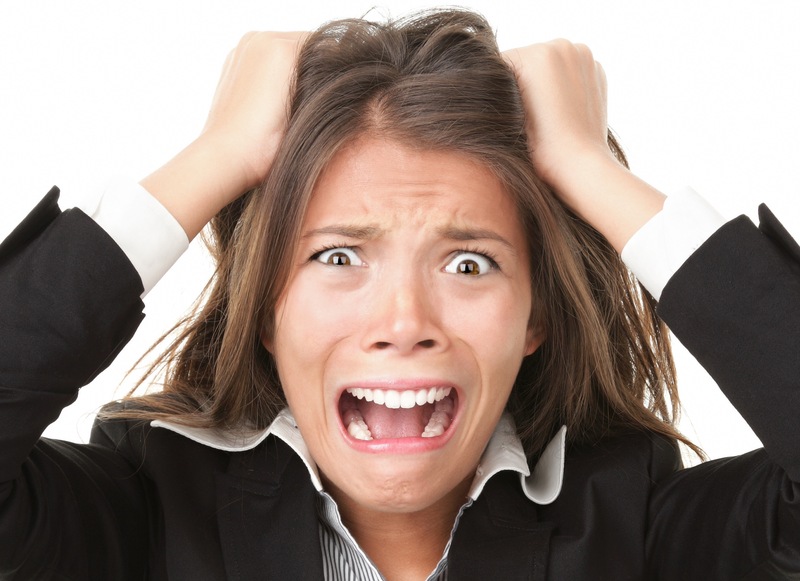 Ready with quick reply to objection – “You went to college…you can do the math”. Her response is disarming. She’s challenging my intellect but subtly…and with a smile. Close the deal – she walks me up to the counter to be cashed out. Thanks me for coming in. I wish her a Merry Christmas and she looks at me, still smiling and says “Merry Christmas to you too”. What a truly unexpected and wonderful experience buying a candle! Yankee, you’ve got yourself a Raving Fan! What do you think? Sales is tough. Rewarding but tough. Not every one is cut out for a career in Sales. It’s the ultimate “what have you done for me lately” profession. This year’s top performer is next year’s runner-up. Being a salesperson requires high energy, discipline, tenacity and focus. Great sales people possess the ability to visualize their success. They can see themselves on the stage receiving The President’s Award, or cashing that big bonus check. They’re high achievers, hard workers, and by and large, emotionally charged people. Great sales leader have many similarities. But the really great leaders have more empathy than your average sales leaders. Empathy allows you to connect. It makes you human. Empathy allows you to feel, or perhaps more pointedly, allows you to understand how the someone else feels. Having empathy is different from having sympathy. Many people feel they are the same. They’re not. They’re wildly different. Sympathy is about compassion, “feeling sorry for”, whereas empathy is being able to relate to another person. Great sales leaders can relate, or empathize, with how challenging it is to find good prospects. They can empathize with how exhausting making 100 dials a day can be. If it were sympathy, I’d be saying “I’m sorry you have to make those 100 calls today…I sympathize for you.” But that’s not the case. The goal of a great sales leader is to have their team know, that they know, what it’s like to walk in their shoes. The team wants to know the leader has “been there, done that.” Great sales leaders are able to demonstrate empathy without effort because they can simply relate. They’ve carried the bag, they’ve suffered the rejections, they’ve ended their day emotionally and physically exhausted without a sale in hand. They’ve lived it. Great leaders are not scared or intimidated to show empathy. They don’t see it as a weakness to say “I went an entire week once not selling a thing”. They’re not excusing low or poor performance by providing sympathy. In fact, instead, what they are saying is I’ve had some moments like that myself and here’s how I pulled myself up and turned the corner. We’re emotional beings. Period. We want to know we connect. We’re pack animals. Knowing we’re understood is critical. Top performers, no matter what the profession, just want to be understood. They don’t want sympathy and they don’t want anyone to “cut them slack”. They want encouragement. Not cheerleading. There’s a difference. Encouragement provides direction, a path. Cheerleading provides nothing but a temporary high. If you want to supercharge your leadership focus on developing your own personal level of empathy. How do you relate to others? What do you say to people who are struggling? If you can improve your empathy skills you can improve your results, and the results of those around you. Now you’ve created two wins. Now you have momentum that will carry you and your team forward, and that’s what it’s all about. Yes. Right out of the gate, Inbound Marketing does work. But like everything else in life, success is largely dependent upon a few key ingredients beginning with a clearly defined objective. Many companies look at Inbound Marketing as a way to simply accelerate their cold calling efforts. These are the companies that still believe that the only way to generate more revenue is to shake more hands. The concept of Inbound Marketing however is focused on a virtual handshake evolving into a virtual hug. It’s about creating a safe environment for your customer to learn, ponder, and explore at their own pace. For Inbound Marketing to work your customer must believe the content you’re offering has value. They must also believe you have a passion…a purpose…a genuine desire to help solve their problem the best way possible. This means the content you develop answers their questions and provides enough information to lead them to ponder new ideas or considerations. It all begins with great content. Some companies try to disguise their sales materials as content. Don’t bother! It won’t work! Your customers are too savvy. They know too much. They have access to other competitors content that they are comparing yours against! No. Your content must be factual, original, thought-provoking, specific, and end-result focused. That means you must understand your customers needs; in fact better than they know them themselves. Once you’ve created killer content be sure to have a system in place that enables you to manage your Inbound Marketing efforts. There are a number of solutions available for companies of all sizes to manage their Inbound efforts without breaking the bank. Check out HubSpot, Marketo, and Pardot. Each of these systems have their pros and cons depending on your own objectives. The good news is they all produce great content to help inform you in your decision making process. After all they are in the business of Inbound Marketing. In summary, Inbound Marketing is about being invited to the party rather than crashing the party with traditional Outbound Marketing activities. It’s permission based. 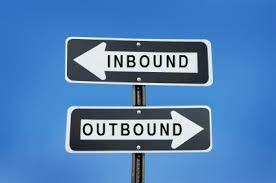 Inbound’s philosophy is to establish virtual credibility and rapport first, before a sales attempt is made. It’s about nurturing. Cultivating. It’s about content. In my next blog I’ll show you some easy ways to great started on creating content that matters to your customers.